William Schoell is an American author of horror fiction and non-fiction. He wrote eight horror novels from 1984 through 1990 for Leisure Books and St. Martins, and is the author of numerous non-fiction books and biographies, focused mainly on films and famous actors. I was first introduced to the work of William Schoell in the summer of 1987. I spent a couple of summers during my high school years shipped off from Colorado to my aunt and uncle’s home in Cedar Hill, Missouri, where I worked with them in their painting business, listening to heavy metal, and reading pulp fiction. My parents thought this was their best bet for keeping me out of trouble while school was out. Frankly, I enjoyed the trips and look back on them fondly. My grandparents lived a few hours away in Springfield, so I made a weekend trek with my aunt and uncle while I was there one year. My grandmother sensed that I was bored out my skull, and — clued in by my Uncle Karl that I liked horror fiction — she came back to the house one afternoon with a paper grocery bag full of paperbacks. It contained, among others, Late At Night by William Schoell. It was the first novel I dug out of the bag, and I spent the next two days sunk deep into an old worn out recliner, reading it cover to cover. The next several years would find me hunting for any book I could find by William Schoell, enjoying each new one as much as the last. Many of them came to me in times of strife, providing a much-needed escape from whatever travail had lately befallen me. They were fun pulp fiction, and I regard them as highly as many of my favorite horror films of the era. They were not intended to be literary fiction, just fun entertainment — and I recall they succeeded on all levels. Since Schoell’s books had gotten me through some tough times, I was interested in the reason they stopped being published. So when the Internet age rolled around, I searched for the author and found him online. He was (and is) a kind and grateful man, happy to discuss his work and genuinely interested in folks who contact him having enjoyed his work. I created a (now very out of date) fan site for him years ago called. I transferred it to my current site, so it lives on, but does need some updates and corrections. I wrote it all in HTML, and since WordPress has made me lazy, I’ve not really had a chance to do any updates. Nonetheless, I was grateful for the opportunity to touch base with an author who provided me so many hours of entertainment, and was happy to find him an amiable, friendly person with an interest in his fans. Born in 1958, William Schoell is a native resident of Manhattan, New York. 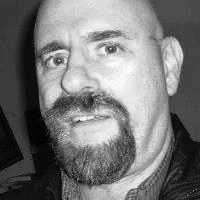 He is the author of more than 40 books and 500 articles and stories for national magazines including The Writer, Off Duty, FilmFax, Fantasy Review,Writer’s Digest, Espionage, Genesis, and many others, including the 1980s small press magazine The Scream Factory, for which he wrote a horror movie column called “Hidden Horrors.” His first novel, Spawn of Hell was published in 1984, followed by his first published non-fiction book, Stay Out of the Shower: 25 Years of Shocker Films Beginning With “Psycho.” At one time he served as associate editor of Quirk’s Reviews, and editor of the Macabre Newsletter. Cemetery Dance #53 featured an interview with Schoell conducted by Rick Kleffel in 2005, which sheds some light on his experiences writing and publishing novels in the 1980s. Schoell currently writes, and can be contacted through, his blog Great Old Movies. I just came across this nice write-up; thank you very much, Chris! I’m glad that there are people who enjoyed those horror tomes of mine! You bet. Thanks for stopping in!